Caddying for a golfer is not a lot of work, and could be quite enjoyable, especially if you hook up with a good golfer. Like the old saying goes. Watch and learn. There are 8 main job tasks that a caddie must do. We will try and take a look at them briefly. This task could very well be the toughest of the eight, especially if the golf bag is heavy. Knowledge is not a factor here, but carrying them properly is. Try resting the golf bag on the small of your back, may be the most comfortable position. Adjust the strap of the bag to accomplish this position. When you carry a golfer’s clubs, you should hold the irons steady with your hand. Try to prevent them from clanging together by placing your wrist at the edge top of the bag and reaching over them with the palm of your hand. Placing the golf bag down around greens, fairways, and tee boxes, should be done gently. Doing this routinely, will prevent noise of the clubs around golf greens, tee boxes, and other players. Do not drop clubs. This is a fairly simple task, but you have to stay on top of it. Keep a wet towel with you at all times. You may want to keep half of it dry, if you want to carry it with you. Make sure the golfer’s clubs are clean and dry at all times. Do not hand your golfer a dirty club. Keep a tee in your pocket to clean the grooves of the clubface and wipe clean with the towel. Make sure golf clubs are dry and clean before every hole. When the golfer is finished with the club, clean them right away and place them in the golf bag gently. If you do not put them back in the bag right away, you may forget them on the ground, and find out later the golfer may need that particular club. When you happen to remember leaving one behind, mention it to your golfer immediately. He or She will give you instructions on what to do. Ask the golfer well in advance, if he or she would like their golf ball cleaned. Do not wait until the last minute before their shot. Have other golf balls clean and ready, just in case they decide to change golf balls. Do not pick up your golfer’s ball, when on the tee box, fairway, bunker, rough, and green to clean it. The ball must be cleaned before the tee shot, and after the ball is marked on the green. The golfer will know the playing rules. Let them give it to you to clean. Typically you will find divots on fairway shots. That is not always the case. Sometimes they will have to be replaced on tee boxes. Wait for all golfers to finish their shot, if they are behind you. When everyone starts to march out to his or her next shot, simply run out and pick up the turf and place back in divot hole, and pack down with your foot. Replace a couple of divots, if you have the time. The golfer should do this task. The golfer may ask you to repair the ball mark, if he or she is lining up their putt. Simply prop up the grass around the hole with a tee and pack down with a flat surface, such as a putter or sole of foot. Wait for the golfer to ask you to either pull the pin, or tend it. Be nearby to keep play up to speed. Stay off of all golfers’ lines to the hole, and keep the flag from waving in the wind if holding the flagstick for the golfer. Also keep your shadow away from golfers’s line. Make sure the flagstick is pulled when the ball is rolling towards the hole. The golfer may occur a penalty stroke, if they hit the pin when putting. The golfer has the option to leave the flagstick in when off the green. Some golfers like it out. Wait for instructions when another player is off the green. Try to stand still when a golfer is putting. After all golfers are finished putting, replace the flagstick and check for golf clubs left behind. 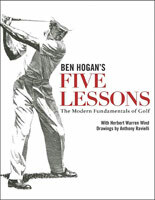 This particular task is for the experienced caddie, and/or caddie who has been with the same golfer for a while. Try to memorize the distance of your golfer’s shots and what club he or she used. They may ask you for advice on what club to use on any given hole. You may surprise them with your choice of clubs. Let’s hope it’s a good surprise. If you’re not sure, do not guess. Just remember. It’s only advice. When you’re not sure of the distance and club selection, encourage them on making the right decision. When your golfer and other golfers are taking a golf shot, always watch where the ball lands. Always keep a marker, like a bush or particular size tree when it lands. This particular task is very important. Your responsibility is for the golfer you are caddying for. Try to look out for other players as well. This could be the single most important task. No golfer wants to lose a golf ball. When you can always find the golf ball, the golfer will almost always want you to caddie for them again. George Gabriel learned to play the game of golf as a caddie. You can find a tee time at http://www.golfanchor.net.